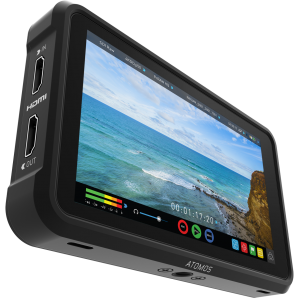 Ultimate accessory kit launched by Atomos includes:HPRC hard flight case;Control cable;2x 5200 mAh battery;Fast charger;USB docking station;DC to D-Tap cable;4x Master caddy II drive caddy;Power suppl.. 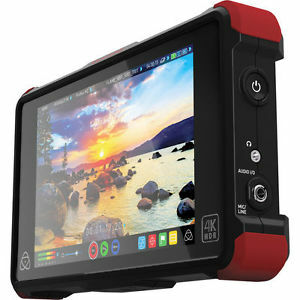 The Atomos Ninja Flame is a 7" 1920 x 1200 on-camera recording monitor that combines 4K recording with a 10-bit FRC panel that supports native display of HDR footage. 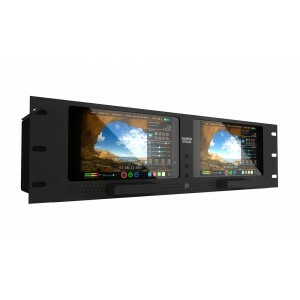 It utilizes an HDMI input to supp..
Record and play out 4K at 60p Apple ProRes or DNxH ProRes/DNxHR and 10-bit 4:2:2 color accuracy.Includes:Ninja Inferno unit;Soft travel case;Master Caddy II drive caddyPower Supply..
Um monitor/gravador portátil de 5” até 4Kp60 10bit HDR. Perfeito para Mirrorless, DSLRs e Gaming com apenas 350g. HDR In/Out PQ ou HLG..
Recording 4K and high frame rate HD within the camera might seem enough but unless you record with the right codec you're restricting flexibility in post and even run the risk of having your footage t.. 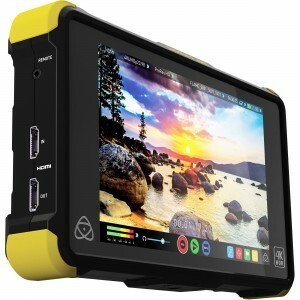 The Atomos Shogun Inferno is a 7" 1920 x 1200 on-camera recording monitor that combines 4K recording with a 10-bit FRC panel that supports native display of HDR footage. It utilizes 4K HDMI and 12G-.. 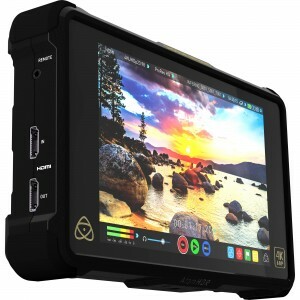 The Atomos Shogun Studio 4K Monitor / Recorder 1920 x 1200 resolution displays with 4K video recording and edit-ready codecs in a 3RU chassis. This configuration is well suited for live event or studi..